Founded in 1852, ASCE is a worldwide leader for excellence in Civil Engineering. With a mission to advance professional knowledge and improve the practice of Civil Engineering, ASCE publishes carefully chosen and professionally significant resources for civil engineers and allied professionals. ASCE publishes 33 journals—more than 7,000 papers per year of Civil Engineering research and practice. Explore one of the titles below to find out how to submit a manuscript, where to preview the newest findings, and how to subscribe. Founded in 1880 as the American Society of Mechanical Engineers, is a not-for-profit professional organization that promotes the art, science and practice of mechanical and multidisciplinary engineering and allied sciences throughout the world. The ASME conducts one of the world's largest technical publishing operations. ASME publishes 25 prestigious Journal- Each ASME Journal title publishes the highest quality peer-reviewed literature in their respective field of Mechanical Engineering. Springer is one of the leading international scientific publishing companies and was founded in 1842. 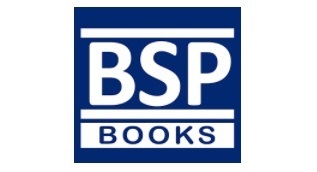 It is the largest Science, Technology and Medicine (STM) book publisher in the world. Springer and its online Journal collection includes more than 2.400 peer-reviewed journals. The collections of journals cover a range of publications in topics spanning the unchartered depths of the subject. Wiley-Blackwell is the international Scientific, Technical, Medical, and Scholarly publishing business of John Wiley & Sons,. Wiley Online Library, an online content access platform of Wiley-Blackwell, hosts the world's broadest and deepest multidisciplinary collection of online resources. It delivers seamless integrated access to an exceptional portfolio of 3 million+ articles from 1,500 journals. Half of which are published in partnership with prestigious international scholarly and professional societies. Wiley’s titles cover the full spectrum of Life, Health And Physical Sciences, Social Science and The Humanities, and include many titles ranked at the forefront of their field. EBSCO caters to the information needs of researchers at every level by providing libraries and other institutions with the content and services needed to bring the latest and best information to researchers. 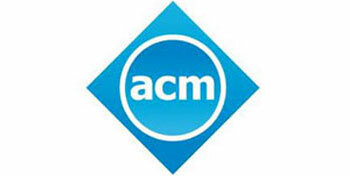 ACM publishes the premier collection of peer-reviewed journals in the field of computing, written and edited by leading international experts in their respective fields. They continue to launch new journals each year to serve the needs of growing scientific community. ACM gives access 40+ High-impact journals and 480,000 journals articles through its ACM digital library. Bentham Science Publishers is an international STM publisher of many high impact factor Journals and Books, answers the informational needs of the Pharmaceutical, Biomedical and Medical Research Community. Bentham Science Journal Collection provides access of 116 online and print journals, 150 plus open access journals in the fields of Pharmaceutical, Biomedical, Medical, Engineering, Computer and Social Sciences. BENTHAM journals are endorsed by leading scientists & Nobel Laureates. OUP is the world's largest University Press, with an Extensive Book and Journal Publishing Program in many academic disciplines. OUP publishes over 300 journals in the Humanities, Social Sciences, Law, Science, and Medicine, two-thirds of which are published in partnership with learned and professional societies. Dedicated to the advancement of Physics, AIP serves a Federation of Physical Science Societies, and provides leadership through its own Programs And Publications. AIP Publishing's portfolio includes 17 highly cited Research Journals, and The Conference Proceedings Series. RSC Publishing is one of the largest and most dynamic publishers of Chemical Sciences in the world. Supported by a worldwide network of members and an international publishing business, It’s a scientific publisher of Biology, Biophysics, Chemical Science, Materials, Medicinal Drug Discovery and Physics high-impact Books and Journals. RSC publishes more than 30 peer-reviewed high Impact Journals spanning across Biology, Biophysics, Chemical Science, Materials, Medicinal Drug Discovery and Physics. Access to these journals is provided through their online platform: RSC Publishing. IOP Publishing is a global scientific publisher, which provides publications through which leading-edge scientific research is distributed worldwide. IOP Publishing is central to the Institute of Physics (IOP), a not-for-profit society. IOP offers a range of High-Impact, Peer-Reviewed Journals featuring content from across the scientific spectrum. From Nanotechnology to Biomedical Science to Alternative Energy, IOP Journals are essential to every researcher. 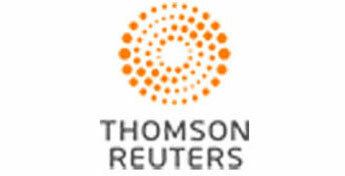 Trans Tech Publications Ltd., founded in 1967, is a leading publisher with the largest and fastest growing content in areas of Materials Science and Engineering, bioengineering, nanotechnologies and biomimetic and publishes 15 internationally-indexed journals in materials science and engineering which include book series, special topic volumes, conference proceedings, monographs and specialized collections. Through its online platform scientific.net , TTP provides access to all its prestigious and internationally-indexed 15 periodicals including "Materials Science Forum", "Key Engineering Materials", "Journal of Nano Research" and "Advanced Materials Research". Journals by TTP are read in 220 Universities, academic libraries and leading research centers worldwide (2014). Click here to access its valuable journal collection. 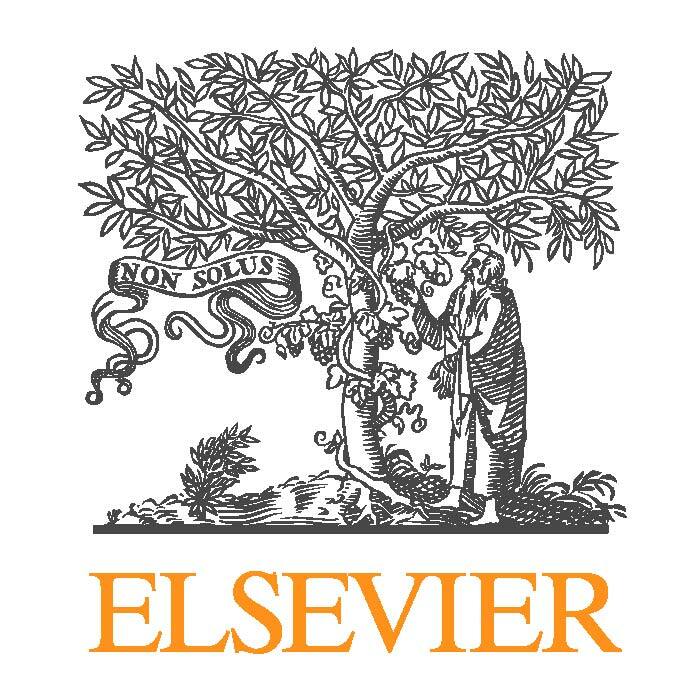 Elsevier is a world-leading provider of information solutions that enhance the performance of science, health, and technology professionals, empowering them to make better decisions, deliver better care, and sometimes make groundbreaking discoveries that advance the boundaries of knowledge and human progress. 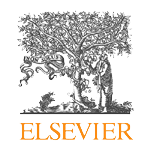 Elsevier provides web-based, digital solutions — among them ScienceDirect, Scopus, Elsevier Research Intelligence and ClinicalKey— and publishes over 2,500 journals, including The Lancet and Cell, and more than 33,000 book titles, including a number of iconic reference works that fuel discovery, drive innovation, and improve research outcomes. Elsevier is part of RELX Group plc, a world-leading provider of information solutions for professional customers across industries. Elsevier via Sciencedirect provides trustworthy, comprehensive eBook content in key subject areas including Computer Science, Engineering, Life and Biomedical Sciences and Mathematics and Physics at an affordable price. Check out these flexible, affordable eBook options on ScienceDirect. Pearson Education is the world's biggest education company. Pearson specializes in the publication of Academic and Reference Books in the fields of Computer Science, Engineering, Business & Management, Professional & Trade and Higher Education. ThinkTank is Pearson's collection of over 3,000 eBooks - the largest and the most comprehensive collection of eBooks in India. The collection comprises renowned international and Indian titles, many of which are available in colour. RSC Publishing is one of the largest and most dynamic publishers of Chemical Sciences in the world. Supported by a worldwide network of members and an international publishing business, It’s a scientific publisher of Biology, Biophysics, Chemical Science, Materials, Medicinal Drug Discovery and Physics High-Impact Journals and Books. The RSC eBook Collection is a definitive point of reference for anyone working in the chemical sciences. Over 1200 books, equating to over 20,000 chapters spanning more than 40 years, have been brought together and digitised as fully-searchable PDF files. Available for purchase as a complete collection, it can also be divided to suit your budget needs by year range and subject area. The ASME conducts one of the world's largest technical publishing operations. ASME’s EBooks collection is a primary vehicle for disseminating technical information to the engineering community. The ASME eBooks Collection currently contains over 120 new and classic eBooks and will increase by approximately 20 new titles each year. Tata McGraw-Hill Education has been the market leading provider of Educational materials in India since 1970, serving the Higher Education, Professional and Healthcare markets. Its online content access platform, McGraw-Hill eBook Library, gives librarian the opportunity to expand their collection at a lower cost and without adding shelf space. 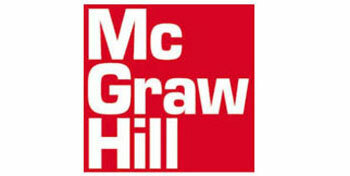 The Tata McGraw Hill eBooks Library delivers Digital Books in key high-demand categories- Engineering & Computing, Business, Medical, Student Study Aids and Medical & First Aid. It offers more than 1,500 titles available in 50-plus pre-assembled clusters. Tata McGraw- Hill also offers a powerful new Engineering Reference Tool for professionals, academics, and students, "AccessEngineering". Access engineering is an innovative online reference and learning resource providing seamless access to the world's most trusted collection of critical, regularly updated engineering reference information. Bentham Science publishes eBooks and eLectures in all areas of Science, Technology, Medicine, Social Sciences and Humanities. Bentham eBooks and eLectures will provide professionals, academicians, corporate researchers, graduates and under-graduates worldwide with the most current information in their subject areas of interest. Trans Tech Publications Ltd., founded in 1967, is a leading publisher with the largest and fastest growing content in areas of Materials Science and Engineering, bioengineering, nanotechnologies and biomimetic and publishes vast collection of eBooks in materials science and engineering which include book series, special topic volumes, conference proceedings, monographs and specialized collections. Through its online platform scientific.net , TTP provides access to one of the world's largest eBook platforms for Materials Science and Engineering. The site offers a first-call one-stop solution for your materials science and engineering related research and has one of the world's largest databases for Materials Science &Engineering. Click here to access its valuable resources. S.Chand publishing started in 1939, and is the largest publishing conglomerate in India. It has a leading position in the Indian publishing industry with 7,500 titles and 1000+ authors with a pan- India presence through 20 branches, 5 marketing offices and state-of-the-art printing and publishing facilities. S. Chand Group with its 7 decades of existence in the education field in India has garnered a rock solid reputation of providing quality education content to education field. S.Chand Publishing publishes a numbers of Higher Level ebooks in key subject areas including Mechanical Engineering, Applied Science, Civil Engineering, Commerce and Management and Biology etc. These volumes are well-known among students and teachers for providing them trustworthy and comprehensive content. The content of eBooks is widely acknowledged by the users as it gives an easy, elaborated explanation of the subjects' in simple language. Click here to access these eBooks. 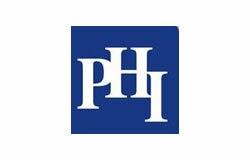 PHI Learning is a leading academic publisher. Since its establishment in 1963 it has published more than 3000 titles under the imprint of Eastern Economy Editions in subjects such as engineering, management, computer science, information technology, sciences, and humanities and social sciences. 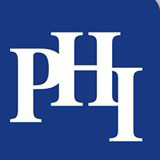 PHI has partnerships with leading academic publishers of the world. It also brings to the Indian subcontinent the valuable books of University Presses of MIT, Harvard, SUNY and The Brookings Institution and books of learned bodies and professional institutions like American Management Association, and a host of other international publishers. 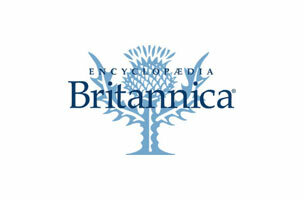 Encyclopedia Britannica is a global digital media company with products that promote knowledge and learning. Encyclopedia Britannica provides timely, relevant, and trustworthy information and instructional products for homes, schools, universities, libraries, and workplaces around the world. In eBooks section, Encyclopedia Britannica has a collection of more than 250 general reference books, including encyclopedias; atlases; dictionaries; and titles on Science, Mathematics, Environment, Edutainment, English, Literature, Biographies, and History. Click here to access complete collection. Founded in 1852, ASCE is a worldwide leader for excellence in Civil Engineering. With a mission to advance professional knowledge and improve the practice of civil engineering. ASCE publishes carefully chosen and professionally significant resources for Civil Engineers and Allied Professionals. ASCE library contains Journal Archives from 1983 to present, and Proceedings Archives from 2000 to present. A current paid institutional ‘Print+Online’ or ‘e-only’ subscription includes access to the entire archive for the subscribed material. Founded in 1880 as the American Society of Mechanical Engineers, is a not-for-profit professional organization that promotes The Art, Science and Practice of and Allied Mechanical and Multidisciplinary Engineering Sciences throughout the world. The ASME conducts one of the world's largest technical publishing operations. ASME provides access to the ASME's Archive- Repository of current and archival literature features: ASME's Transaction Journals from 1960 to the present. Springer is one of the leading international scientific publishing companies and was founded in 1842. It is the largest Science, Technology and Medicine publisher in the world. AIP provides an extraordinary archive of groundbreaking physics research from 1930-1998 which is the world's most valuable collection of Physical Science Research. It has more than 300,000 articles from 10 AIP journals, dating back to Vol.1. No.1. The American Physical Society (www.aps.org) is a non-profit membership organization working to advance and diffuse the knowledge of physics through its outstanding Research Journals, Scientific Meetings, Education Outreach, Advocacy and International Activities. The Physical Review Online Archive (PROLA) is the American Physical Society's online archive for Physical Review Letters, Reviews of Modern Physics, and Physical Review A–E. It contains all APS journal articles published from 1893–2009. Each January, another year is added to the archive. Searching and browsing abstracts are free. Whether needing to get a broad overview, prepare lecture notes or inform research, you and your patrons can rely Major Reference Works & Reference Modules on ScienceDirect for easy, instant and DRM-free access. Offering award-winning content and comprehensive coverage of the full range of scientific disciplines, ScienceDirect includes 59,000 Major Reference Works chapters, 8,100 time-stamped Reference Modules articles. Elsevier's reference titles (MRW's) on ScienceDirect are an authoritative source for building foundational knowledge in one's area of expertise and gaining interdisciplinary, comparative perspective in related or new areas. Content delivery via ScienceDirect provides contextual links to related books, journals and citation tools that facilitate the research process. Over 130 Major Reference Works are available. Reference Modules (RefMods) on ScienceDirect combine thousands of related Elsevier reference work articles into one evolutionary source of information. Articles in each RefMod title are continuously reviewed by a renowned Editorial Board, and changes are time-stamped as of the last review or update. Check out these flexible, affordable MRW's and RefMods options on ScienceDirect. Encyclopedia Britannica is a global digital media company with products that promote knowledge and learning. Encyclopedia Britannica provides timely, relevant, and trustworthy information and instructional products for homes, schools, universities, libraries, and workplaces around the world. Specifically designed to meet research requirements and productivity of universities and academic libraries, Britannica Academic Edition is an online general reference resource that delivers fast and accurate information and gives easy access to high quality, comprehensive materials. Leading universities and millions of students turn to the Britannica Academic Edition for its unparalleled content. 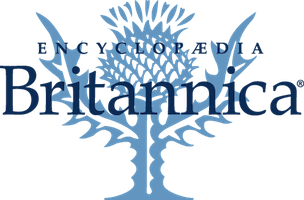 Thousands of eminent experts, scholars, and leaders have contributed to Britannica in the past and continue to do so today. Click here to access Britannica Academic Edition. Springer Reference delivers access to the all Springer Live References, constantly updated by a Dynamic New Publishing Process and covering all areas of STM research. Wiley Online Library, an online Content Access Platform of Wiley-Blackwell, provides access to the Online Reference Works. It offers a rich compendium of knowledge for Students, Researchers and Clinicians. The 18 fixed Subject Collections, ranging from Analytical Sciences to Statistics, offer you the opportunity to build your holdings in specific disciplines so you can now save money, meet faculty demand, serve student needs and grow your e-reference library quickly and easily. The REFERENCE programme publishes Comprehensive, Authoritative, and up-to-date RESEARCH across disciplines including Economics and Business, History, Politics, Literature, Philosophy and Religion, Sociology and Anthropology, Arts and Architecture, and Wildlife and Natural History. The Encyclopaedias, Companions and Dictionaries, Pictorial Reference Books, and Accessible Readers and Handbooks reach out to students and scholars, professionals, and general readers.